What do cars, boats, commercial and residential properties all have in common? They all have windows that could benefit from mobile window tinting! That hot Floridian sun can take its toll on your interiors causing furniture to fade. It can make a room unbearably hot. Sometimes, you just want an extra layer of security or a little bit of privacy. Window tinting is the answer. It can reflect up to 80% of solar heat, reduce fading of floors and furniture by 75% and strengthen your glass to withstand significant force. A quick change of clothes in the backseat of your car can also be performed without fear of prying eyes. Now that you’ve decided that your windows would benefit from tinting, why should you go mobile? Time is valuable and convenience is often the biggest concern. You don’t have to worry about killing time in a dirty garage, or finding a way to transport your boat to the tinting company. Driving around looking for a tinting business also costs you gas money. When you choose a mobile tinting business, installers will come to your home, office or dock and install the desired window tint while you carry on with your life. Have a look at some of the awesome benefits that come with mobile window tinting. How great would it be to have your window tinting done without even having to leave the house? Mobile window tinting offers this incredible perk. You don’t want to spend time and money driving yourself to the tinting company’s premises and then waiting around awkwardly while the job is being done. Our mobile window tinting crew will come directly to you, allowing you to relax in the comfort of your own home or even your own boat while your windows are being tinted. Sit back and watch the experts work, or continue with your daily activities. Convenience is a beautiful thing. Your days are packed to the brim with other important activities and you simply don’t have time to drive around looking for a tinting business. Transporting a boat is even more of a nightmare, not to mention the money that you’d have to spend on gas to transport such a heavy load. With mobile marine tinting, you can schedule a time that suits you best and doesn’t interfere with your other commitments. We value your time and acknowledge that you have a list of worries to deal with each day. Your window tinting doesn’t have to be one of those worries. 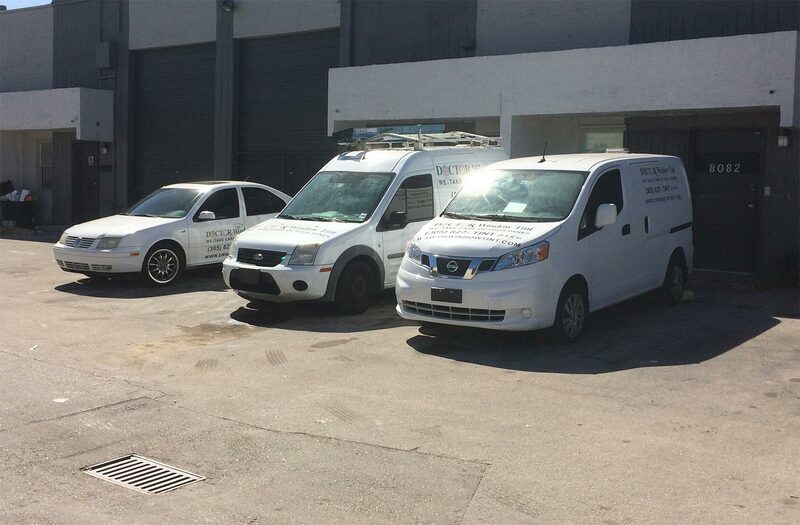 Our mobile team will complete the job promptly and with the highest quality of workmanship. At Dr. Window Tint, we’ve been installing high-quality window tints on cars, boats and properties since 1980. We have a wealth of experience that we bring directly to you and we take pride in the superior service that we offer by making house calls. We are the exclusive installers of the Solar Control brand of window tint and we swear by its unrivaled quality. When it comes to window tinting, we’ve seen and done it all. Rest assured that when we arrive to tint your windows, it’s going to be done properly and professionally. Attempting to apply a tint yourself often results in a botched job and a tint that won’t perform to expectations. It will also cost you more money in the long run. If you want to enjoy your windows with all the added benefits of a quality tinting and the convenience of a house call, just give us a call.